Create A WordPress Site In Seconds - No More 9 to 5 Life - If You Dream It, You Can Do It! Okay, I know what you are thinking! “Yeah, right….I am lucky if I can do this in an hour!” Stick with me, and you will create a WordPress Site in Seconds! Your website is crucial as it is the foundation of your business. You need to think of it as a front-store. You need to create traffic and build brand and trust within your audience so you can promote and then monetize. The below video will show you how you can create a WordPress Site in Seconds with the SiteBuilder platform that will be fully operational, profit ready! If you have never seen a WordPress before, it might look very complicated at first glimpse, but trust me it is the simplest platform ever. WordPress is the most powerful and widely used website platform in the globe. Over 30% of ALL websites create a site with WordPress, and it also delivers a broad range of “add-ons” known as plugins that you can use to extend the functionality of your site. Should you choose to install your website with Wealthy Affiliate, it will come with two pre-install most useful plugins to your site automatically, and your first step is going to be activating these plugins. 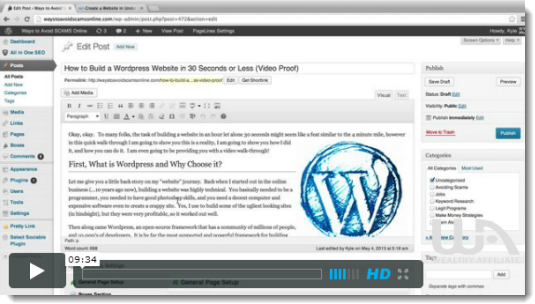 Ok, enough talking let move on to “Create A WordPress Site In Seconds! Just click on the video below to watch that will walk you through the SIMPLE process of installing a WordPress website from scratch. OK Ready, Set, Watch! Easy I right? I remember over ten years ago when I built a website; it was so complicated. You needed to have some technical knowledge to create a site. In two easy steps, you can be up, running and start building a strong foundation (relevant keyword content)! You can build and host up to 2 FREE websites as a Starter Member…So where can you get this for FREE? The building process consists of 4 easy steps to follow. 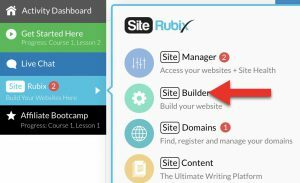 To access the SiteBuilder and EVERYTHING related to your site, you will just click the light blue “SiteRubix” button in the main menu. Step One: What Kind Of Website Do You Want To Build? What I mean by that is that there are two types of Website options: a FREE website or on your domain. If you choose to get your domain you can “register” right within Wealthy Affiliate, no need to go anywhere else, hey even do your hosting! If you choose the FREE website as a Starter member, you will be building a website on the .siterubix.com domain. 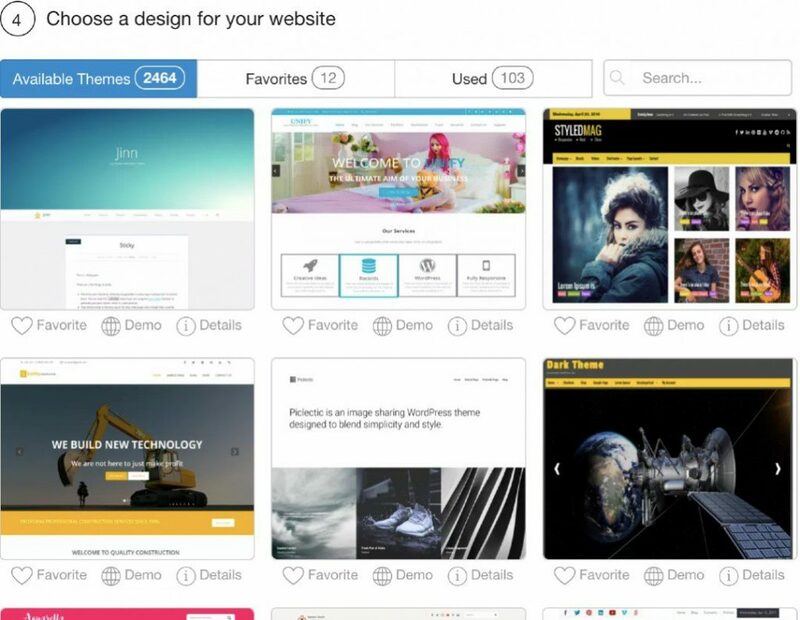 You can create and host up to 2 FREE sites as a Starter. If you opt for your domain, You can build and host 25 free sites as a Premium member, and the ability to create additional 25 sites on your domains for a total of 50 Websites!!! When Choosing a name for your site, it has to be relevant to your niche. Type the name you have selected in the domain field to check the availability. This will be your website URL and your brand, moving forward. Make sure the name of your site matches your domain. Once this is all done, you are ready to log into your back office, which is your WordPress Dashboard! You will notice that there are preset Default Posts, Pages, and Comments. Remove those preset contents before creating the one relevant to your niche. You now live and ready! Believe it or not, those sites are getting impressive rankings in Google. I would like you to read an article posted by a member of the Wealthy Affiliate Community. Over 4,200 clicks in less than a month, all natural traffic and all with the FREE website he created! Read the story here. I need a Favor from you…..
After building your website, please come back here and post your site in the comment box below, that is FREE traffic for you 🙂 Also can you share this page with any friends and on social media so we can help others to build their FREE website! I’m so happy I came a cross your review. I joined the program and it’s absolutely wonderful!! I have never seen so many video training and such a huge bloggers community that is always there to help with any question you may have. Hi there, isn’t it a great program? It is all in one, great community always able and willing to help you 24/7 which is so important when you need an answer now, great training and live classroom. I am glad you joined Wealthy Affiliate and I hope you took advantage of their BONUS! You have a great website Carole, what can I expect….you started building websites 10 yrs ago. You must be an expert by now. Well, not me. I learned website building in 2009 but dropped the idea after a year so my skills were not developed until now that I joined WA. I look forward to reading more great websites from you. Hello Rebecca, 10 years ago was nothing like now. I tried many times and gave up and tried all over. It was so complicated. Now days, anyone can do this. I am glad to hear that you are a member of WA community. You are at the right place!